Choosing your wedding photographer is an investment in the future and a professional photographer will capture your special moments in a quality that a friends mobile snapshot never will, so choosing the right photographer is as big a decision today as it was in 1947. 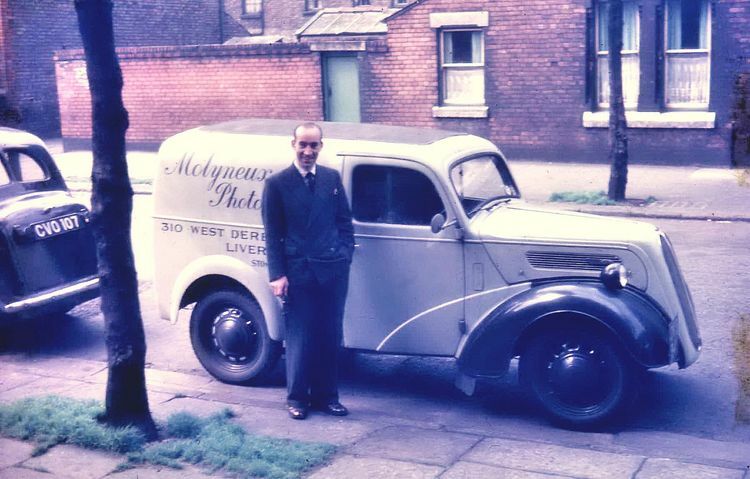 My Uncle Harry started his photography business in Liverpool in 1947 (Molyneux Photography) and for as long as I can remember playing and understanding cameras has been a big part of my life. Working with him on various projects, including contracts for the National Trust really nurtured my interests in photography, and it is really pleasing and satisfying to know that with Carol we are able to continue the family link with wedding photography that now spans back over 70 years. I still keep some of the old cameras, obviously not used on shoots anymore, but many things have changed since the days of Molyneux photography, technology has raced forward providing the opportunity for many an aspiring photographer to try and break in to the industry, but it is important to remember that it is not just about the equipment which allows pretty well everyone to take a photograph these days. Part of our role as a wedding photographer is to provide an enjoyable experience providing a quality product and customer service without compromise, allowing you, your relatives and guests to enjoy the experience of the day, something that Uncle Harry always prided himself on and a legacy we are pleased to continue.